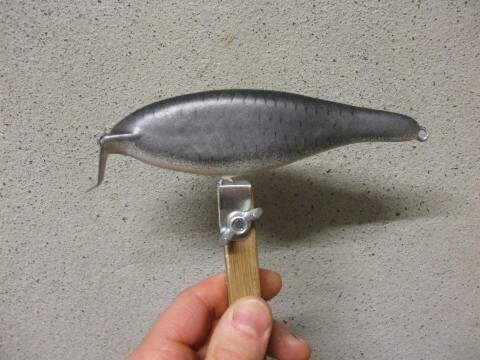 If you have managed to find this lure making blog in amongst all the other sites that are on the internet it is fairly likely that you are either thinking about making or have started to make your own homemade fishing lures. You are most likely on a search for some ideas, maybe some advice or possibly just information in general about lure making. Well, if you have a good browse through the pages of this site there's a good chance that you'll find something useful to take away with you. When I got into the hobby of lure making (not too long ago) one of the first things that I did was search the web - an internet search for "how to make fishing lures" and "lure making". I found that there's a lot of information on the internet about fishing lure making - some good and some not so good! 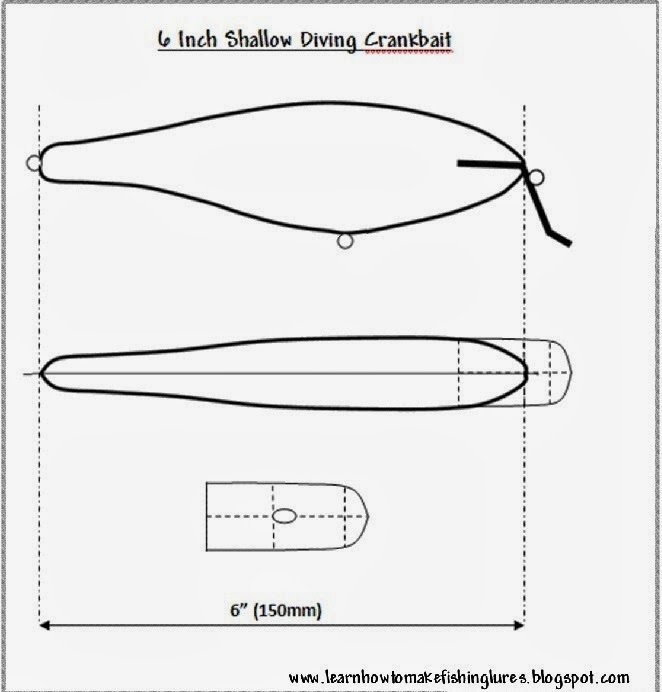 What I have set out to do with this blog is . . . .
A few readers have been asking me (via email) for a copy of the lure template for my super shad rap type crankbait. Well, here it is. All you'll need to do is copy the image, paste it into a word file (or similar) and print it out. You might need to mess around with your printer settings to get the print out the right size for the lure you're building but that should not be too difficult. If you can't get it right just shoot me an email and I'll send you an original copy. 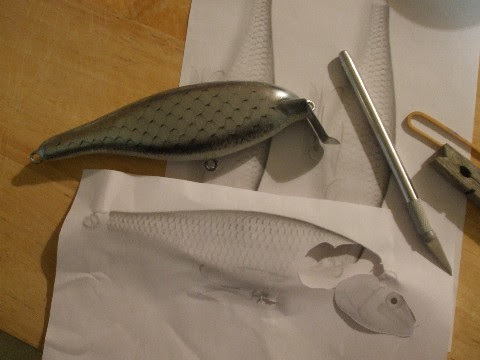 I'll probably update this page with other lure templates that I have when I get the time. 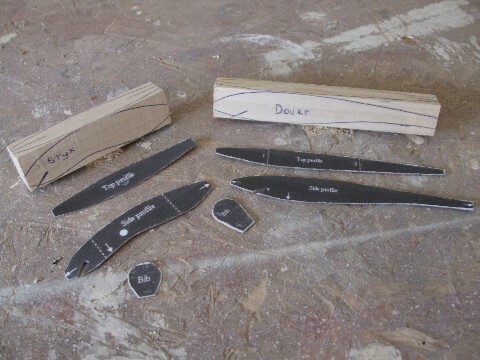 If you use my template to build some lures I'd love to see some pictures. As always questions or comments are welcome - just post them below. Need more templates - read this post I wrote a while ago. The Lure Making Blog Continues . . . When I started this lure making blog back in late 2011 (it's well into 2014 now) my plan was that I would try to write something that might be of interest to other lure makers/fishermen every couple of weeks or so or at least once a month at any rate. 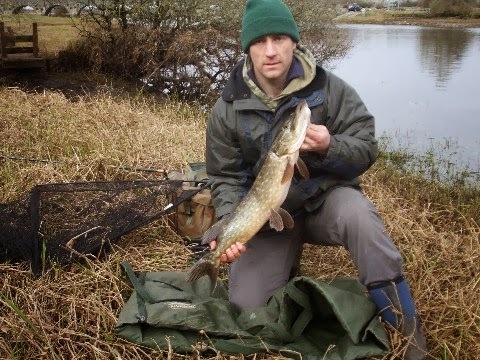 Back then I used to do a reasonable amount of fishing - mostly deadbaiting for pike and as such caught fish on a fairly regular basis. It was reasonable to assume that getting into lure making which would make my pike fishing a whole lot more interesting should give me plenty to write about. Unfortunately with a global recession meaning that a lot of us have to work that bit harder just to make a living the result has been that my own fishing time has been limited to just a handfull of trips over the last couple of years. With no fishing being done there's just been nothing to write about. Anyone who checks back on this blog from time to time might have come to the conclusion that the site had been abandoned. Well let me set the record straight - this blog has not been abandoned and it never will be! The posts, projects and articles will be slow in coming, in fact very slow at times, but they will keep coming. Now, with that out of the way let's get back to the important business of building lures, testing those lures and even more importantly, catching some fish. 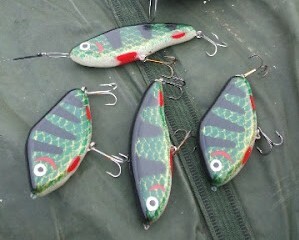 My lure making story so far goes like this - I made four jerkbaits out of poplar wood. 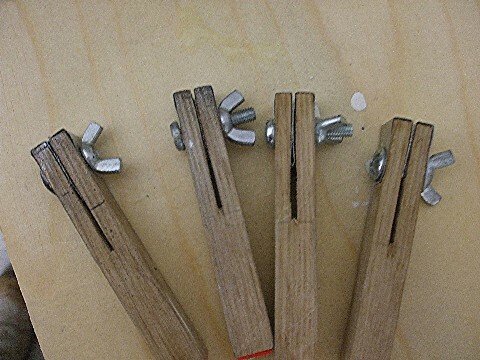 The four of them were finished in the same perch pattern but had four very different actions - a surface slider type, a surface glider type, a sinking slider type and a sinking glider type (you can read about how I made them by clicking here). I took these lures for their first day out to a local river (which you can read about here) and for a second days fishing to the lake that I had actually designed these lures for (read about that here). During these two days fishing a number of lure making mistakes I had made were discovered - successfully correcting these mistakes and then more testing of my homemade baits is the bones of what this particular blog post is about. Well unfortunately it has been quite some time since I have put pen to paper, or rather fingers to key board, to add something new to this blog of mine. A busy work and family lifestyle along with my involvement in other sports has meant that opportunities to get any lure making or indeed lure fishing done have been few and far between this year. Although this particular project is not quite yet completed (the lure needs testing) it is almost there. If you are a fan of the very well known Rapala Super Shad Rap or similar type of crankbaits then this project will be of great interest to you. The idea for this lure was simple. A local estate lake which is very much choked to death with weed growth contains pike and roach. 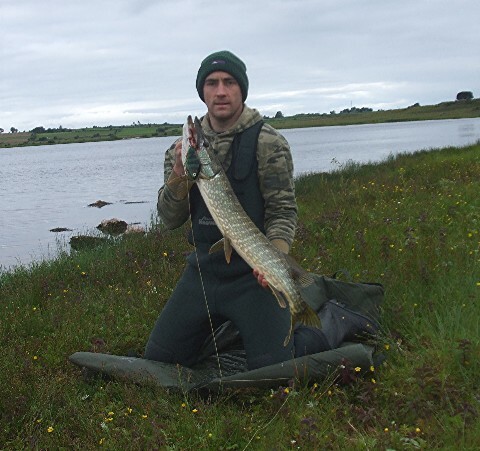 Those pike can regularly be seen chasing the resident roach to the water's surface and snatching at them as they try to to escape. 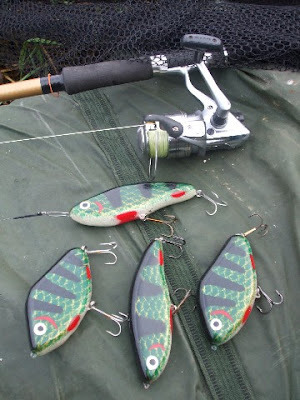 I need a lure that will imitate a roach, float above the weed and dive just deep enough beneath the surface with an enticing action to tempt any mid water pike that are on the prowl. Reading the manufacturers description of the Rapala Super Shad Rap this lure would seem to fit the bill nicely so I decided to try and make my own. Can An Ebook Really Teach You How To Make Fishing Lures? Looking For Lure Making Information? If you've just been bitten by or are about to be bitten by the lure making bug then you are most likely on a quest for lure making knowledge - good information that will show you exactly how to make quality fishing lures that will catch fish for you in the various waters where you cast your line. When I myself got into lure making the first place I looked for information was the internet. It quickly became evident that there were a number of ebooks for sale on the internet all claiming to teach you how to make the most perfect fishing lures in the shortest time possible. 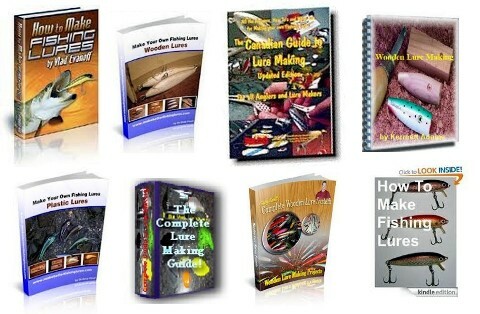 When I searched for reviews of these lure making ebooks to find out what people were saying about them all I could find were editorial type reviews on websites that were simply trying to sell a copy of whichever ebook they had chosen to review. There were no reviews to be found (none that I could find anyway) that were written by real fishermen who had actually bought the ebooks, made some lures and caught some fish with them! My aim with this blog post is to fill that gap on the internet by providing useful reviews of the lure making ebooks that I have bought. 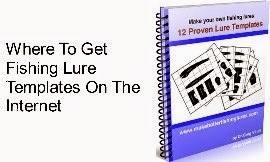 By doing so I will hopefully help some people who are considering the purchase of a lure making ebook to make a more informed decision before parting with their cash. 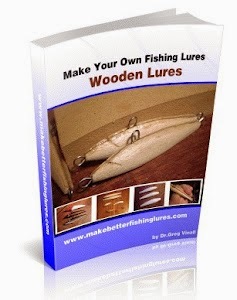 So, can an ebook actually teach you how to make fishing lures? - read on to find out . . . . . . . . . Although a thoroughly enjoyable hobby there is no doubt that making your own fishing lures can be a very messy business. Getting your fingers burnt, covered in paint or even epoxy coated are some of the most common problems that lure makers everywhere have to deal with. These all too common problems are usually the result of an ineffective or poorly thought out method of holding the lure being worked on for the job at hand. I know this myself from experience. I have managed to burn my fingers whilst using a cigarette lighter to pop the air bubbles from my epoxy clear coats. I have painted my fingers (nearly my whole hand on one occasion) whilst spray painting patterns on some lures. I have had to deal with the terrible mess of getting epoxy all over my hand, when, on one occasion whilst clear coating a lure I clumsily dropped it on the floor and without thinking quickly grabbed it up off the floor again with my bare hand! The good news is . . . . .
A Wooden Mould for Lead Jig Head Making - Surely Not!!! 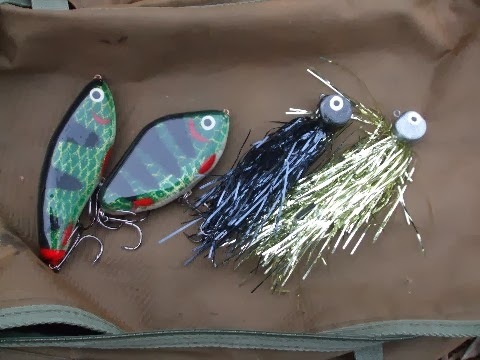 Most of us who get into the hobby of lure making - or any kind of tackle making for that matter - will find that an awful lot of what we learn is through the method of trial and error. Since I had never even fished a jig before much less try to make one, this little lure building project would be completely trial and probably a lot of error! The brief for this DIY lure making project was simple enough - I wanted some jigs for pike fishing, and fairly big ones at that. I figured that with the cold winter weather on it's way (it was November when I started working on these) some heavy jigs might be just the thing for searching out the deeper areas of my local lakes and rivers where the resident pike would most likely be found at this time of year. 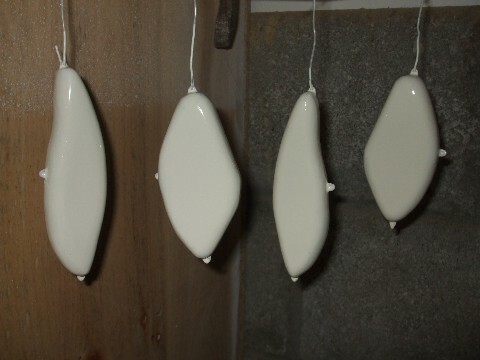 The idea was to . . . .
Up until now at any time that I have been working on painting, sealing or putting epoxy coatings on my homemade lures I have been hanging them up to dry between coats on various makeshift 'hanging stations' usually consisting of a piece of string stretched between two points somewhere in my workshop. This set up has been, well, less than ideal. A more organised and effective way of hanging up my lures between coatings, whether sealing coats, finishing paint or epoxy clear coats would make my lure making life a little easier. 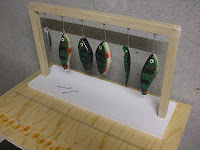 The time had come to make a simple lure drying rack. . . . . It's hard to believe that it is almost a year since I began this home made fishing lures project - actually just checking the date on my first blog post as I write I can see that it is fully one year since I started to make these jerkbait fishing lures. Where does the time go! I certainly wont be setting any records for lure making production that's for sure. The story with these baits so far is this: . 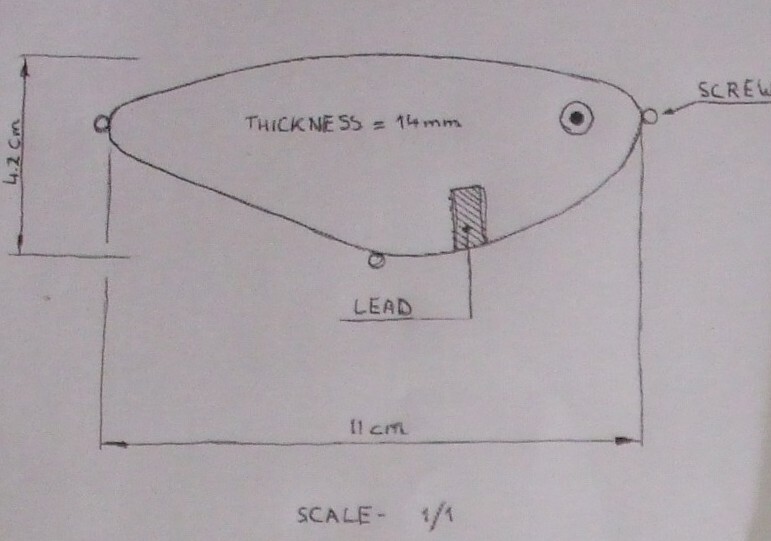 . . . .
As I mentioned in an earlier post, one of the first things I did when I originally got interested in making my own lures was to do some research on the internet to find out as much about lure making as I could. There is of course plenty of lure making information around the web but you will find that it is scattered all over the place. I decided that I would buy at least one book or ebook on the subject of lure making which might shorten my lure making learning curve. After having a good browse around on the internet to see . . . . .
Free Time For Fishing Is Hard To Come By These Days! Having finished working on my first few homemade lures they sat on a shelf in my garage gathering dust for quite a while before I finally managed to organise a half a day of free time to actually go fishing and have a cast around with them. 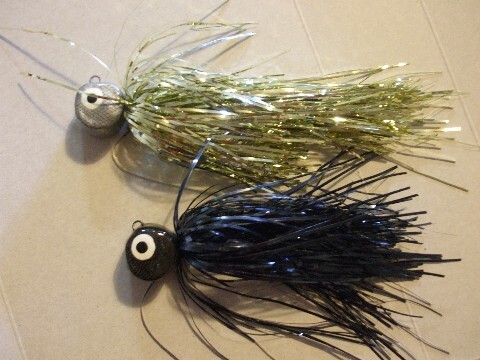 If you read my earlier post about how I made these homemade lures you will know . . . . . 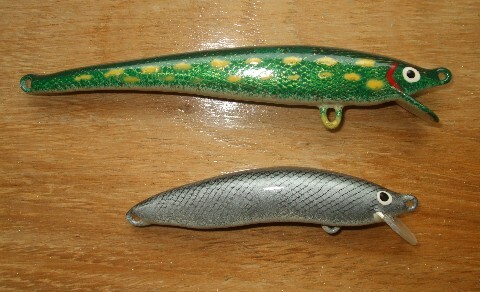 In advance of starting to work on any fishing lures that you would like to build for yourself you will need to know such things as the length of the lure, it's width, it's general shape, the number of hooks to be attached and other such details which will govern what the finished lure will look like and what it will do in the water. Of course the actual type of fishing lure and the species of fish you intend to catch with it will dictate many of these variables - a lure for catching trout in a small shallow river will have very different characteristics than say a lure for catching pike in a deep open water lake. Whatever fishing lure you decide to build, in the very same way that you would require blueprints to build a house you will need lure templates to make some lures. It is of course possible to build a fishing lure without using a lure template but the process would be very much trial and error and could result in a lot of wasted time making lures that are not effective. It is far better in my opinion to work to proven lure templates or at least lure template designs based on already successful lures. Follow this Blog by Email - get an email every time a new post is added.